Trying to figure out how to support my DSM community better. 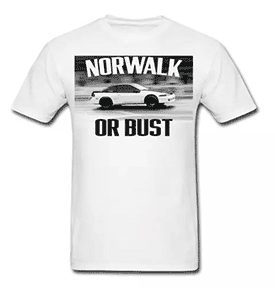 :p Get custom license plates that say "Smokey" and people will understand lol You could also just clock a 16g compressor (if you chose to go that route) to shoot near stock location if you intend on running an external wastegate. That or get a custom made compressor cover (just need to weld two bolt fittings on the compressor cover to accommodate the stock internal wastegate bolts) and have the outlet aims around the same place as the t28. Cheaper to do than finding another good T28 and easier to rebuild if you get issues. Ok I let u in on somthing. This weekend I plan on pulling the car out or should I say drag. Since my struts are toast anyway im gonna cut the coils and see how these stang wheels tuck and check my oil pan oil clearance. You got your avatar up! Great! Hey were is your avatar at? Get to it! Sorry about that, some people dont know when to STFU, its your car and this site is for ppl that enjoy their cars. I hope you post pictures, I'm excited to see the final product! Hey man. How did you make your intake a dual filter? Thanks. "Where Horsepower Grows On Trees"